Knowledge is power, but it is a terrible power when it is hoarded and hidden. Now, I don't think I have read such a beautifully written middle grade book before. I normally really struggle when reading middle grade, probably because they are geared towards a younger audience but this book was something else. 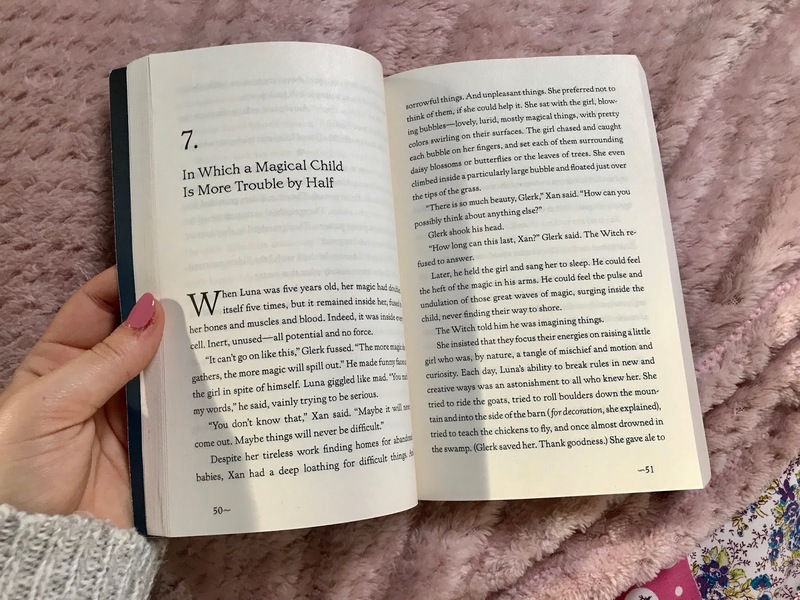 This book is so whimsical and full of magic that you will definitely fall in love with the story. There's just so much I adore about this book. The characters really make this story. I loved each and every one of them. Xan, the witch of the story is such a strong, beautiful character. Saving all those children year by year from the forest is so brave and how motherly she is towards Luna and it really is beautiful. Glerk, the most wonderful swamp monster, is such a great character as well. He recites poems throughout the book and though I'm not much of a poem reader but by the end of the book, I definitely respect poetry more. I would love to try and read some poetry book too in the future. Fyrian, probably my favourite character because he's just so lovable and cute! Who wouldn't want a tiny dragon you can pop in your pocket!? He's always wanting to please everyone too and his innocence is just adorable. Finally, Luna. I love the innocence that she radiates as a child. I really enjoyed reading her journey, growing up to a teen and reading her child thoughts. Barnhill really did write her thoughts beautifully and it made me feel like a young child again. Something I found really interesting was the family dynamic between Xan, Luna, Glerk and Fyrian. I thought it was wonderful how Barnhill created such a beautiful family dynamic even though the characters were not blood related. It's a great message to send to children who would be reading these books that anyone can be your family, whether your blood related or not. I also enjoyed reading the points of view of the other characters too as well as all the twists and turns of the story. I just couldn't stop reading this beautiful book. The magical element was also really intriguing. 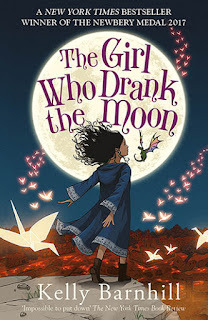 The idea of drinking moonlight and becoming enmagiced by it's light, was just so interesting; I haven't read a book that has the same type of magical element and I really did love it. Though the story didn't go the way I thought it would go, I still thoroughly enjoyed this whimsical and magical book. I will definitely be reading it again to annotate in the future as it was just so beautiful! Please read this book if you haven't done already. 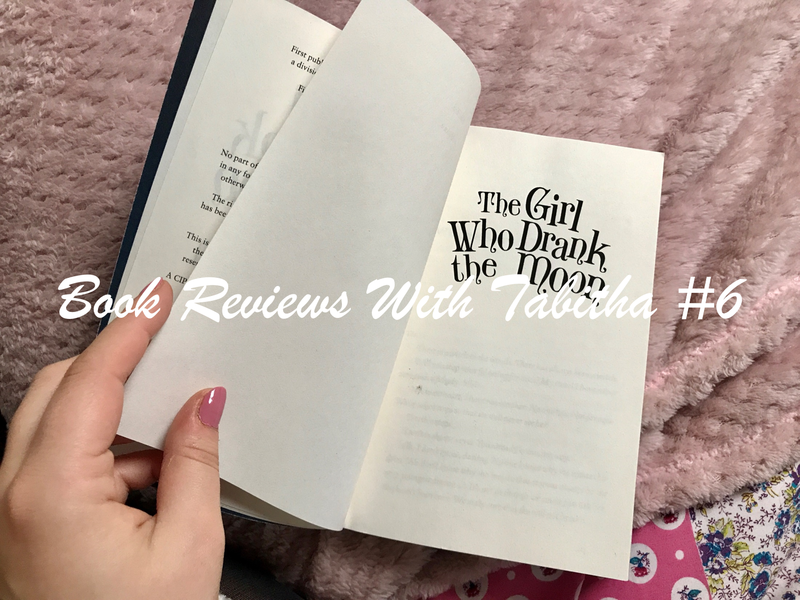 Have you read 'The Girl Who Drank The Moon'? 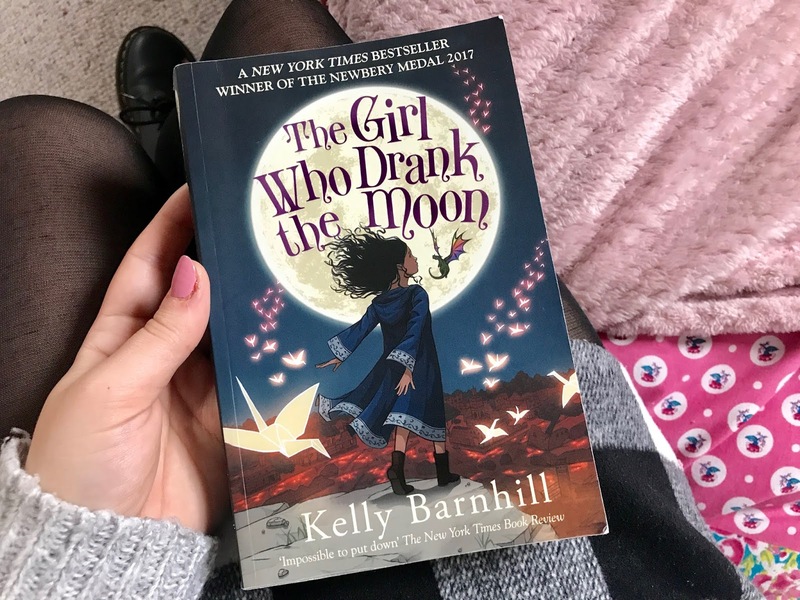 or have you read any other Kelly Barnhill books? What a gorgeous cover! I love your book reviews. I've never heard of this book, and initially I didn't think it was something I would choose to read, but I love your review, it's made me want to purchase it immediately. The magical element sounds so beautiful and you've described the characters so well!